In this unflinching exploration of one of the most politically charged topics of our time, Pyong Gap Min investigates the racial dynamics that exist between Korean merchants, the African American community, and white society in general. 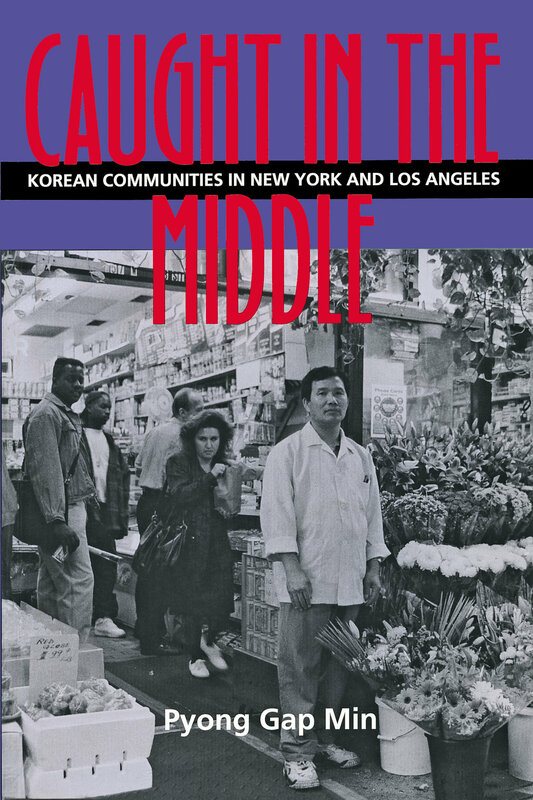 Focusing on hostility toward Korean merchants in New York and Los Angeles, Min explains how the "middleman" economic role Koreans often occupy—between low-income, minority customers on the one hand and large corporate suppliers on the other—leads to conflicts with other groups. Further, Min shows how ethnic conflicts strengthen ties within Korean communities as Koreans organize to protect themselves and their businesses. 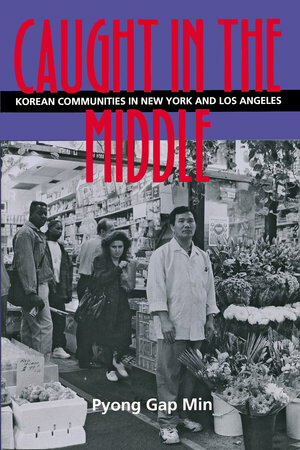 Min scrutinizes the targeting of Korean businesses during the 1992 Los Angeles riots and the 1990 African American boycotts of Korean stores in Brooklyn. He explores Korean merchants' relationships with each other as well as with Latin American employees, Jewish suppliers and landlords, and government agencies. In each case, his nuanced analysis reveals how Korean communities respond to general scapegoating through collective action, political mobilization, and other strategies. Fluent in Korean, Min draws from previously unutilized sources, including Korean American newspapers and in-depth interviews with immigrants. His findings belie the media's sensationalistic coverage of African American-Korean conflicts. Instead, Caught in the Middle yields a sophisticated and clear-sighted understanding of the lives and challenges of immigrant merchants in America. Pyong Gap Min is Professor of Sociology at Queens College and the Graduate School of the City University of New York.